We are the leading organization and successfully engaged in providing Installation and Maintenance Services. Our experienced professionals render these services using the advanced machines and technologies. Since long year's water and wastewater management has been major issues for the sugar industry and the industry is pressed to reduce its water consumption and the emission of pollutants. 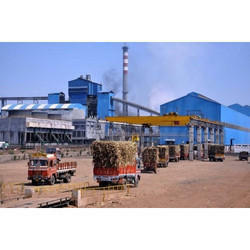 We believe that sugar refineries in India need a wide range of differentiated options to tackle water challenges. 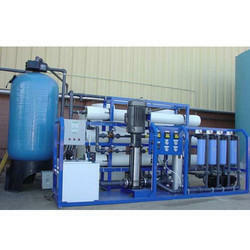 To Deal with these challenges we are offering Effluent Treatment Plant Installation Service to our client. Cosmetic manufacturing factories generate different kinds of wastes so they have different requirements of treatment. 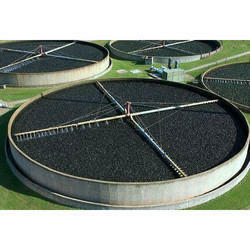 Wastewater generated from the manufacturing processes typically contains suspended hydrophobic materials and high levels of surfactants resulting in a tendency to form emulsions and foam. Levels of BOD and COD are typically high. 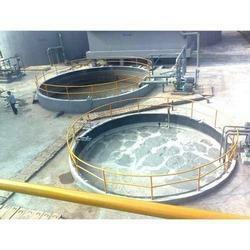 To deal with such cosmetic effluent, We are offering Cosmetic Industry ETP Installation Service to our client. Sewage usually results of the disposals from the residence, industry, offices, factories, extension work, Aerobic and other public outlets. This disposal includes the waste & water from the kitchen, bath, toilets, rain waters & other occasionally cleaning operations. 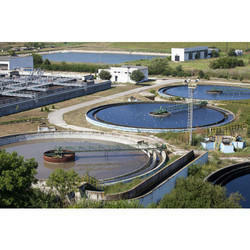 Though the waste water coming from the industrial area cannot be re-used as it contains the high level of solids & chemicals which made the watercolor Black whereas the disposals or waste coming through household is of grey color which can be recycled and re-used for planting or harvesting. The mining industry has been facing the water and wastewater treatment challenges for years, at Kelvin Advanced Filtration Systems, we understand those challenges and committed to providing effective solutions through a variety of equipment and chemicals or combination of both. 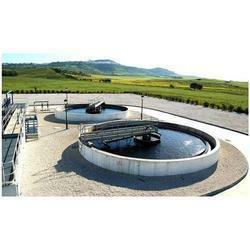 The company specializes in creating strategic water and waste treatment plans and customized solutions for your mining site to ensure efficiency and long-term cost-reductions. Our solutions include creating complete water programs, designing specialized water systems for a particular operation and preparing zero liquid discharge systems (ZLD System).Water is a key element for mining sites and possesses great importance in all quarrying developments and operations; therefore, an effective water management is necessary for a sustainable mining process. Once a mine is in operation, efforts to manage water become one of the prime goals of mining companies and various practices are adapted to use water and recycle. Other steps that are taken for preventing environmental damage are also considered. 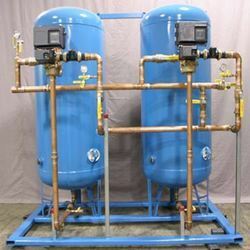 With vast industrial expertise and affluent knowledge of this arena, we are readily instrumental in providing world-class Water Softener Plant Maintenance Service. As per the detailed desires of our clients, these presented services are broadly cherished. In addition to this, these could be altered as per the varying desires of our clients. Duckweed – a small free-floating and fast growth aquatic plant-has great ability to reduce the BOD, COD, suspended solids, bacteria and other pathogens from wastewater. It is a complete feed for fish, and due to the high content of proteins and vitamins A & C, it is also a highly nutritious feed for to 3 times when fed with duckweed, than with other conventional feeds in ponds. Reduction of BOD, COD in effluents varies from 80-90% at the retention time of 7-8 days. 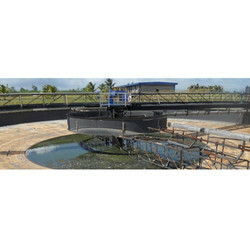 Submerged Aerobic Fixed Film Reactor is a cost-effective method of wastewater treatment and sewage sanitation that is primarily used in residential and commercial complexes. 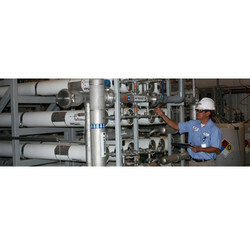 This equipment primarily works on the three stages that are Primary Settlement, Secondary Treatment, and Final Settlement / Clarification.SAFF Technology is one of the simplest and most cost-effective methods of commercial and residential sewage sanitation/wastewater treatment, particularly for small to medium-sized treatment plants. 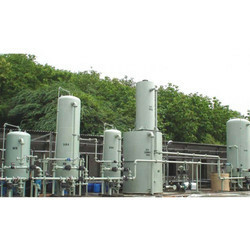 A well built Submerged Aerated Filter plant has no moving parts within its main process zones, any functional items will be positioned to access easily without disrupting the ongoing sewage treatment. 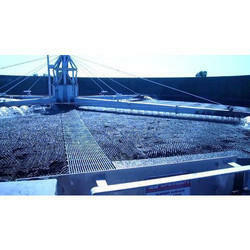 Trickling Filter is a type of wastewater treatment system first used by Dibden and Clowes. It consists of a fixed bed of rocks, lava, coke, gravel, slag, polyurethane foam, sphagnum peat moss, ceramic, or plastic media over which sewage or other wastewater flows downward and causes a layer of microbial slime (biofilm). 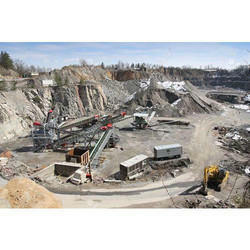 A rugged system with a simple and silent operation. 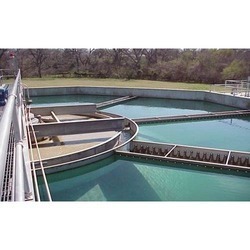 The stand-alone treatment process for sewage if operated at low rates. To be used in combination with ASP for efficient performance. 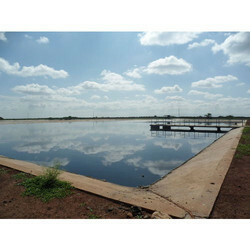 We are offering Facultative Aerated Lagoon STP Installation Service to our client. With a rich understanding of this industry, we are actively betrothed in providing for ETP Plant Maintenance Services These offered services are rendered by specialists keeping in mind exact requirements of patrons. In order to render these services, deft specialists use latest techniques. The offered service is broadly acclaimed by patrons all over the nation. Apart from this, our precious clients can avail these services from us in customized solutions and at industry leading rates. Water is most important part of everyone's life whether it belongs to personal life or industrial life. No one can live without water and even no production can occur without it. So it becomes necessary to utilize the available water to the maximum extent or not to destroy the same hazardously. However, the quantity used by different industries may differ due to different usage but still much of the important task such as washing, drinking, dilution etc. are performed through water only. If the industry has a right to use the water then it becomes their duty to make it clean or re-usable. Industries consumed the clean water and generate the polluted water which includes harmful chemicals; oils, grease, solids etc. 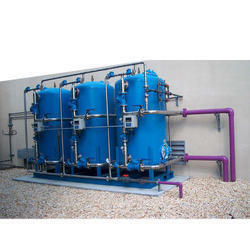 Our firm is continuously involved in offering Industrial RO Plant Maintenance Services to respected patrons. Our team of experts hold complete domain expertise and execute the offered service as per the requirements of our clients within the confined time frame. They make use of most recent technology to render the offered services to ensure its reliability and promptness. Further, we provide these services as per the requirements of our client’s at most affordable prices. We are successfully ranked amongst the top service providers engaged in providing DM Plant Maintenance Services which is exactly accomplished as per clients specifications in adherence with the industry quality policies and regulations. The team of professionals executes the offered services using advanced tools and latest techniques in order to attain maximum customer satisfaction. Additionally, our offered service is widely noted among our clients for features such as promptness, economical prices, reliability and client-centric approach. Catering the ever-growing demands and desires of our respected customers, we have come up with MBBR STP Installation Service. Implemented at the economical rate, we promise of delivering these services on time. Furthermore, we endeavor hard to fulfill our clients’ needs by accurately understanding them and their budget plans. In order to keep pace with never-ending demand, we are involved in providing RO Plant Maintenance Services to our customers. These RO Plant Maintenance Services are rendered by our team of experts who have years of experience in rendering these services. Also, these maintenance services are delivered at cost-effective prices. This maintenance service is carried out as per the variegated requirements of our valuable clients so that we can gain the maximum satisfaction of our clients. The offered maintenance services are highly acknowledged by our clients owing to its flawlessness and hassle-free execution. Looking for “Installation and Maintenance Services”?